Authorities from two major U.S. cities and London on Tuesday reported (via Reuters) that smartphone theft has dropped drastically since the release of remote-access "kill-switches" that allow users to lock their missing smartphone before any crucial information is stolen. Specifically, the number of stolen iPhones dropped 25 percent in New York, 40 percent in San Francisco, and 50 percent in London. The study was based on the 12 months following the launch of Activation Lock in September 2013 as part of iOS 7. These numbers have jumped up slightly from a similar report released last summer that saw iPhone thefts in each city fall by 19 percent, 38 percent, and 24 percent, respectively. According to Reuters, officials from each of the three cities - London Mayor Boris Johnson, San Francisco District Attorney George Gascon, and New York state Attorney General Eric Schneiderman - were each lobbying for laws that required the implementation of remote kill switches into every smartphone sold. "We have made real progress in tackling the smartphone theft epidemic that was affecting many major cities just two years ago," said London Mayor Boris Johnson. From data collected by the National Consumers League, Reuters reports that 1.6 million Americans reported stolen handheld devices in 2012. And in California alone - specifically San Francisco, Oakland, and a few other cities - smartphone theft accounts for more than half of all crimes perpetrated in each city. 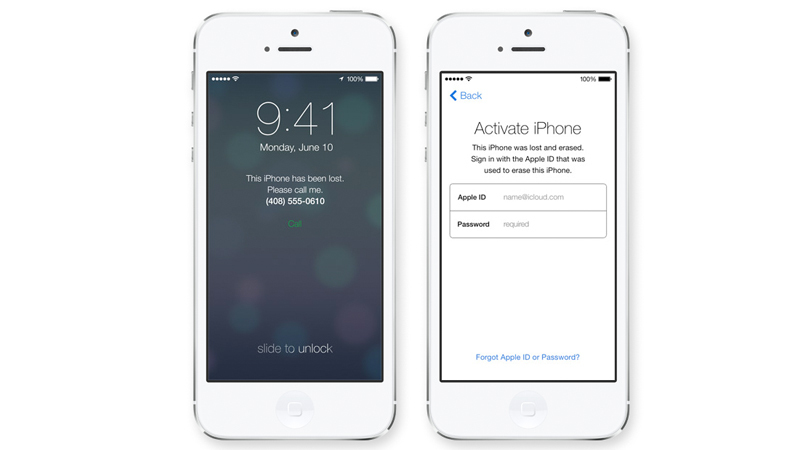 Apple's default Activation Lock feature received much praise following its launch in 2013. A few months later Apple and a few other notable smartphone makers, like Samsung and Google, entered into a voluntary agreement to have every smartphone sold on or after July 2015 come pre-installed with a kill-switch, a date that's rapidly approaching. California itself issued a law last August, designating a similar July 2015 date for every smartphone sold in the state to have the anti-theft software pre-installed. Activation lock hurt my income pretty badly. I think this is good news. I am always surprised to see folks that do not have a password to get into their phone (admittedly that is mostly pre-iphone 5s). Everyone I know with a 6 or 6+ has the password turned on. iCloud for find my phone is also great and that adoption seems to be fairly high. I know it helped me recover my phone when I accidently left it in a Car2Go. I was able to track it while talking to the company and even when the next driver claimed not to have it, my ability to track the phone convinced him to turn it in (and that was on the 5s). I have helped a few friends and family members replace damaged iPhones with used ones on Craigslist, there are a ton of them on there that say something to the effect of the activation lock being on. Sometimes they say they have no iCloud, it's always worded kind of vague, but at least in Memphis theft still seems pretty prevalent. Those sold with activation lock won't sell for much. Maybe thieves in Memphis are slow learners. If iPhone displays wouldn't be so expensive, theft would drop more. For example in my country atm to replace iPhone 6 display cost about 250 euros. In the UK, Apple charges £86 for iPhone 6, and £106 for iPhone 6+, 5 and 5s. So maybe you should talk to Apple. £106 = 140 at the moment, but I didn't check prices on the continent. If anything, it decreases its resale value enough that it deters theft. I have high praise for activation lock and only wish we had it sooner. I got my iphone 5 stolen out of my house back in March 2013, while I was home!! :eek: Find my iPhone was no help and activation lock was not available at that time. The thieves were smart enough to turn of my phone as soon as they stole it and most likely wiped the phone with a full restore. Activation lock has and will continue to decrease the amount of phone thefts but will never quite eliminate it. Phones can still be parted out and sold for parts. A brand new pristine iphone 6 or 6+ should be worth at least $100-$200 just for the screen and battery alone on Craigslist. Thieves still pick pockets and steal bikes for much lower rates of returns. Meth, crack, and heroin Junkies do not think rationally and will do anything for their next fix so phones will still be stolen. Pretty much the majority of iOS users. Or the iPhone is slowly becoming an old product and has lost its fashion and reputation. Or everybody has an iPhone nowadays. With only 75 million iPhones sold in the last quarter, it sure looks like an old and unwanted product, that nobody would bother stealing anymore.